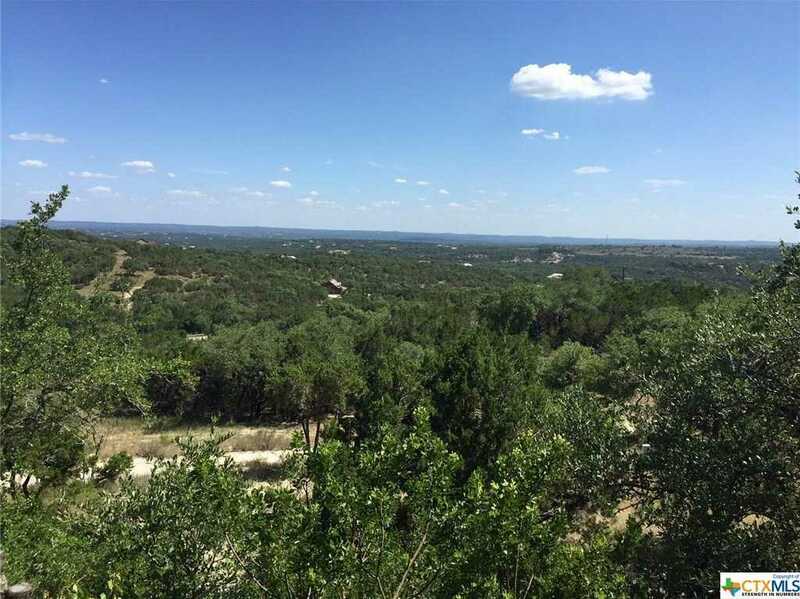 Amazing 180 degrees panoramic views atop highest hill in ag exempt fenced and gated development. Recently constructed ranch style home on 12+ acres has all of the bells and whistles of sustainable building with 6 walls, spray on insulation, standing seam metal roof all guttered and down spouts under ground lines directed to cistern for gardens as well as gray water, central vacuum, 2 tankless water heaters, passive solar design. Boot shaped pool and BBQ pavillion community area. Beautiful marble flooring with lots of natural light. The main body of home is open with high beamed ceiling opening to the large covered porch that looks over the Canyon Lake Valley viewing the whole lake and beyond with long distance REAL panoramic views. Master bedroom has a closet and sitting room off the bathroom. 3 other bedrooms, one used as a great office and off the entry. The other 2 share a bathroom. The laundry/mud room is off kitchen.738sf enclosed porch, 1053sf garage.Must call for appointment. Please, send me more information on this property: MLS# 352535 – $699,000 – 1177 Mount Moriah, Spring Branch, TX 78070. I would like to schedule a showing appointment for this property: MLS# 352535 – $699,000 – 1177 Mount Moriah, Spring Branch, TX 78070.